Case management is a collaborative process of assessment, planning, facilitation, care coordination, evaluation, and advocacy for options and services to meet an individual's and family's comprehensive health needs through communication and available resources to promote quality, cost-effective outcomes. Case Managers at Affinity Treatment Centers work from the beginning to plan and ensure a healthy re-entry into society for their clients. As the sole point of contact, they will naturally act as advocates on behalf of their clients for all kinds of services. Guiding clients through their transition with kindness, dignity, and respect while facilitating care coordination is paramount. The case managers at Affinity Treatment Centers intend to make this time less stressful and comfortable for the client in recovery. Case managers work tirelessly to instill faith and hope while building confidence in their client's goals. 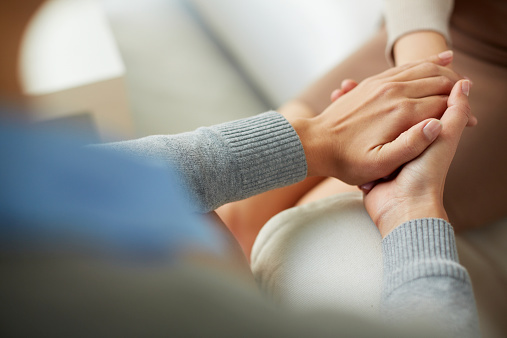 They often work with both the client and the client's families to provide support on the mental help services road from inpatient to outpatient. Affinity Treatment Centers is a group of mental health treatment professionals who are devoted to providing the highest level of therapeutic care in mental health services. They offer state of the art treatment for those grappling with mental, emotional and personality disorders. Working together with each client, Case Managers at Affinity Treatment Centers will create a unique plan and approach to recovery. They will act as a liaison to other health care professionals like medical doctors, psychologists, social workers and counselors who are all part of the team continuing their care. learning basic life skills like how to pay bills, how to create and manage a budget, and grocery shopping. obtaining medical and financial benefits from social services agencies. Affinity Treatment Centers are located in the San Diego area in Vista and Bonsall, California, equally convenient to San Diego and Los Angeles. Please call us to learn more about our case management services.